(IBD)—No sooner had President Obama gutted border enforcement than the Islamic State built a Mexican training camp just a few miles from Texas. Did Obama doubt IS would take advantage of his immigration policies? If he did, he is dangerously naive. But we do not see how he could have been so clueless. There were plenty of warnings that IS was targeting the border, and they emerged even as he was putting the final touches on his executive amnesty scheme. 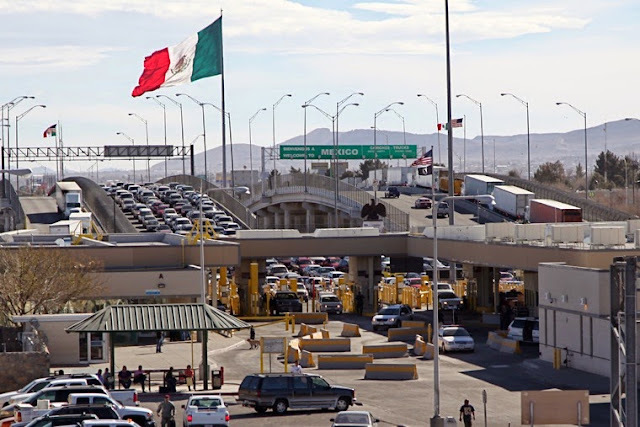 Last fall, for example, a top Homeland Security official testified before Congress that U.S. intelligence picked up IS chatter about infiltrating the U.S. through its southern border with Mexico. "There have been exchanges among IS adherents across the globe speaking about that as a possibility," Francis Taylor, DHS undersecretary of intelligence and analysis, warned the Senate's homeland security panel. This is the bind that Obama and his immigration policies have put us in. By gutting border security, he made the border more vulnerable to infiltration by our enemy. The policies could get Americans killed in a large-scale attack that originates from our porous and increasingly unsecured southern border. For several years, Breitbart News defense reporter Edwin Mora has been tracking the number of aliens from terrorism-linked countries who are apprehended trying to enter the U.S. illegally. But DHS has refused to disclose those numbers to him in the past two years. There's a reason for that. Republican members of Congress say that at least 10 IS fighters have been nabbed coming across the Mexican border in Texas, and DHS is loath to acknowledge this as it stands down border guards and agents to conform with Obama's new amnesty deal. It's hiding data to protect the president's policy, which apparently is now viewed as more important than protecting the country. It's become abundantly clear that this administration—or more precisely, this White House—is playing a dangerous game of politics with national security. As Obama's border and immigration policies increasingly make it easier for IS to attack the homeland, is it time to start asking if the president himself isn't a national security threat? And whether more ought to be done to rein him in and neutralize his policies before they further jeopardize public safety?